Since I'm feeling kind of nostalgic when it comes to the Wii--and the DS, too--right now, I thought I'd work up a few posts dedicated to my favorite pieces of box art created for Nintendo's "seventh generation" systems. This one focuses on box art that was created for the Wii, of course. 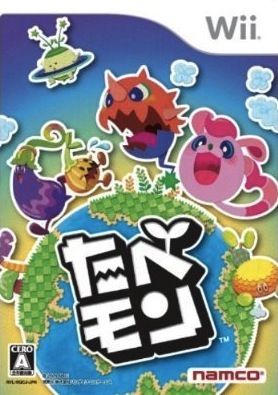 Note that I'm only covering Japanese box art in this particular post. I may publish a similar post in the future that focuses on, say, North American Wii box art, this one is limited to box art made for game-buyers in the Land of the Rising Sun. 1. 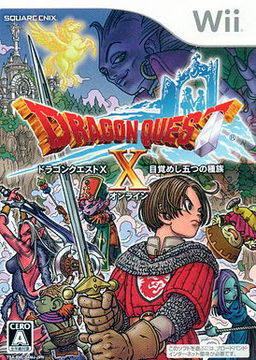 Dragon Quest X--Say what you will about Dragon Quest X the game, but it's hard to knock its cover art, don't you think? Not only is it wonderfully colorful, but it's filled to the brim with characters and other details. I'm especially fond of the grinning Puklipo who seems to be doing a backflip on the right edge of the illustration, by the way. 2. Fragile Dreams: Farewell Ruins of the Moon--Given my love of post-apocalyptic novels and movies, I find it kind of astonishing that I've yet to pick up a copy of this Tri-Crescendo-developed title. Granted, it received fairly poor reviews, so that probably had something to do with it. Regardless, the Japanese release featured one of the best pieces of box art this "era," in my humble opinion. Had the folks at Xseed Games (Fragile Dreams' North American publisher) used that image rather than the one that ended up on store shelves I likely would have purchased it the day it was released. 3. 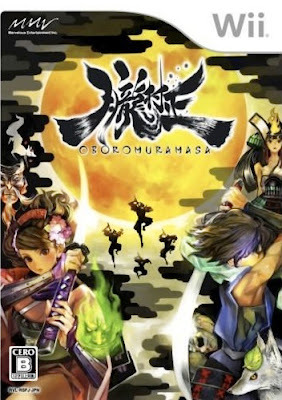 Oboromuramasa (aka Muramasa: The Demon Blade)--I don't know which is more stunning: Oboromuramasa's box art or its in-game graphics. OK, so that's a lie--I'm quite certain I consider the latter to be more beautiful than the former. Still, this Vanillaware title's cover art is quite a looker. I wonder if the same will be true of the packaging produced for the upcoming Vita port? 4. 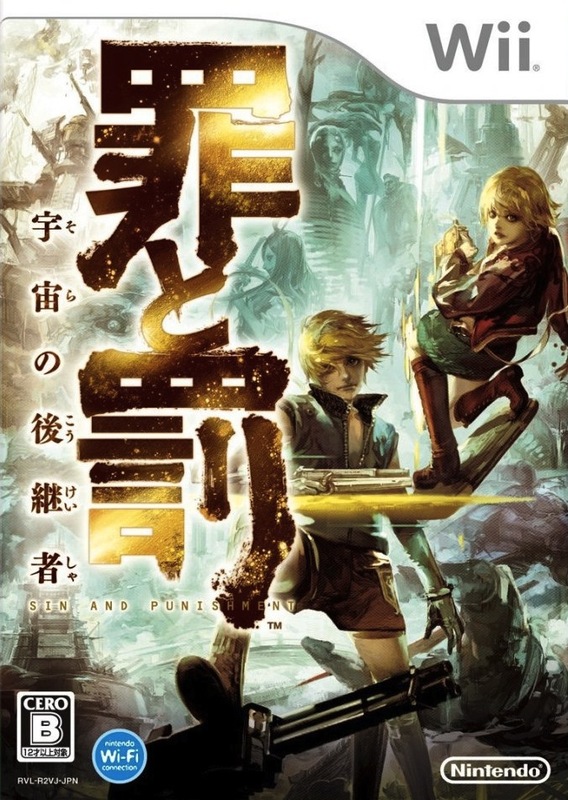 Sin and Punishment: Successor of the Universe--In the blurb above, I suggested that Oboromuramasa's in-game graphics were slightly more impressive than its box art. 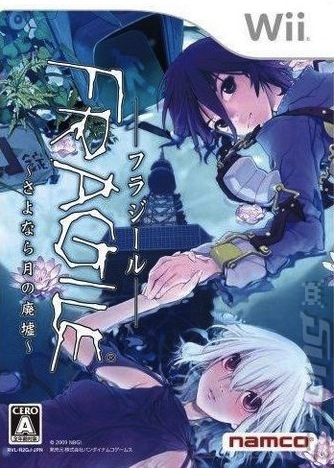 Well, in this one I'm going to suggest the opposite--i.e., I think the cover art created for Sin and Punishment: Successor of the Universe (Sin & Punishment: Star Successor in North America) bests this Treasure-made game's graphics, at least by a smidge. 5. Tabemon--Does the name of this one not ring a bell? How about The Munchables, which is what this Namco-published game is called in the west? Although I'm actually pretty fond of the North American release's box art, it still pales in comparison to the imagery that was produced for the Japanese version. Of course, I'm a sucker for anthropomorphic vegetables and, well, anything that's both adorable and pink. You really should pick up Fragile Dreams. I absolutely loved it. The criticism it received is fair because the combat is terrible and the inventory system annoying but the experience as a whole far outweighs these negatives. It's a real tear jerker. I'm going to, Retr0gamer, don't you worry -- probably after Christmas. I've longed after it for too long to never pick it up. Thanks for letting me know your thoughts on it, by the way! The Munchables? I've never even heard of that. Sounds like it could either be a shovelware Pac-Man clone, or something unique and quirky that I would love. It's great in every way but I really need to play it again. And the box-art is so great! I love Animes and japanese mythology. But I also really like the cover of Fragile Dreams. The Munchables is kinda cute but it has so much with "Prey the Stars" in common. The Munchables looks better and I like the cute style but It's not one of the best games on Wii. Anyway the box-art looks really great. Really, Justin? It came out fairly early on in the Wii's lifetime. I've never played it, though. Maybe I'll pick it up soon, though, if it's cheap enough?